Individual and group counseling is provided to primary and secondary survivors of family and/or sexual violence. 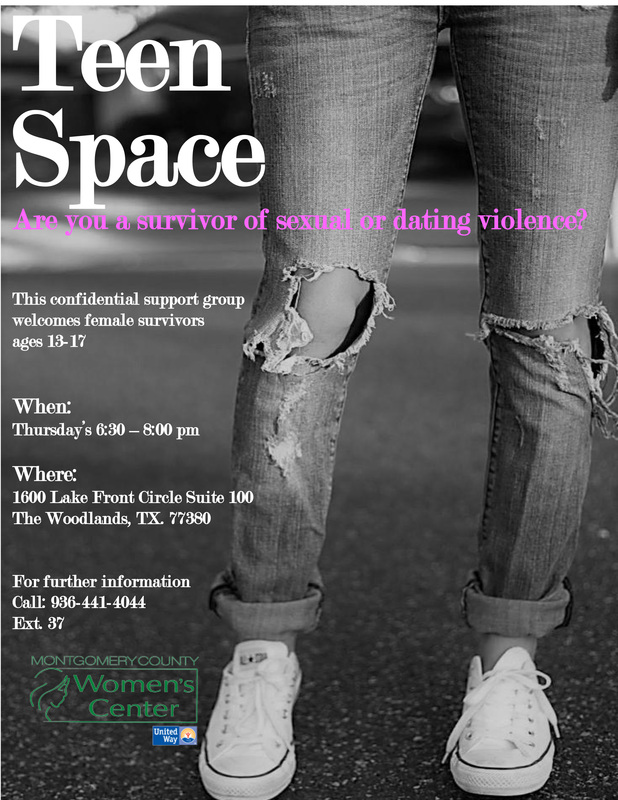 Services are provided to females, males and gender minorities, and both children and adults. 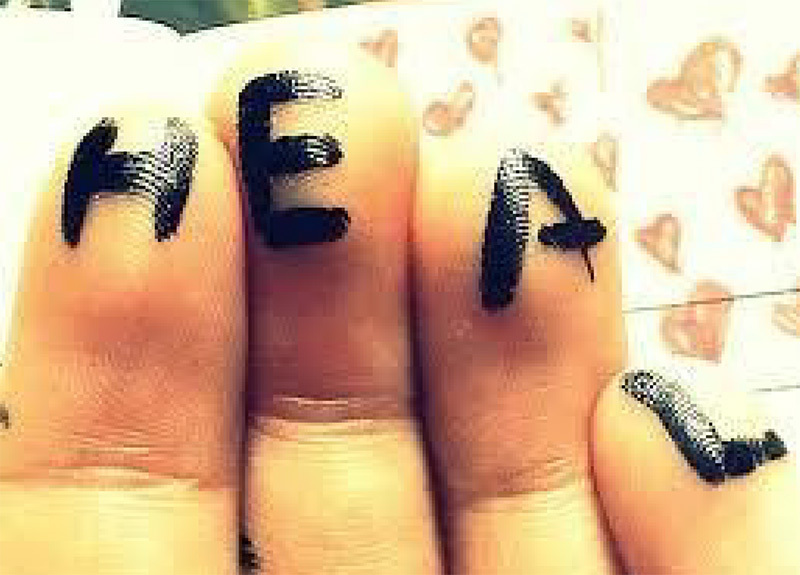 Counseling services are provided at no cost. 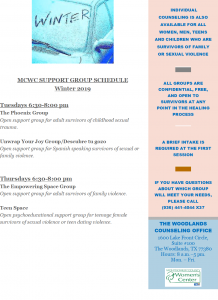 The Montgomery County Women’s Center also offers support groups for survivors of family and sexual violence and their families. 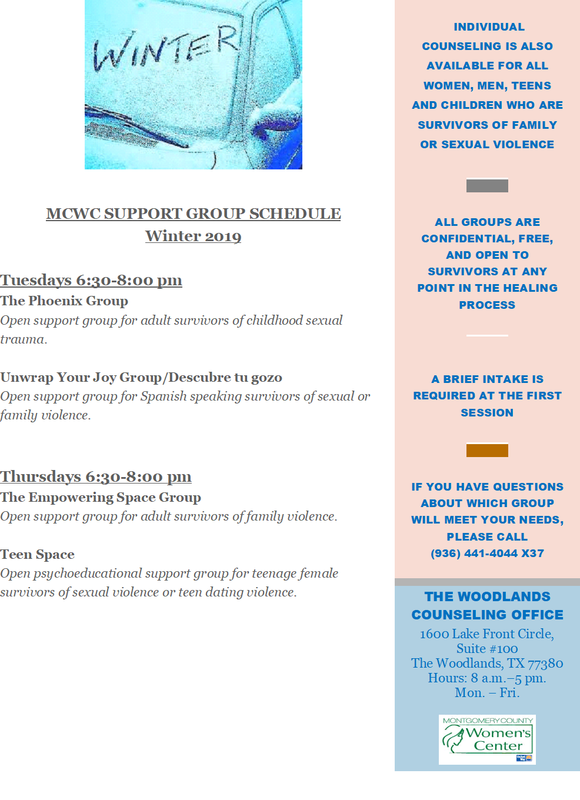 If you have any questions about our group meetings, or if you wish to schedule a counseling session, please contact the Counseling Manager: 936-441-4044 ext. 23. For adult female survivors of childhood sexual trauma. For Spanish speaking survivors of sexual or family violence. Psycho-educational support group for teenage female survivors of sexual violence or teen dating violence. For adult female survivors of family violence.